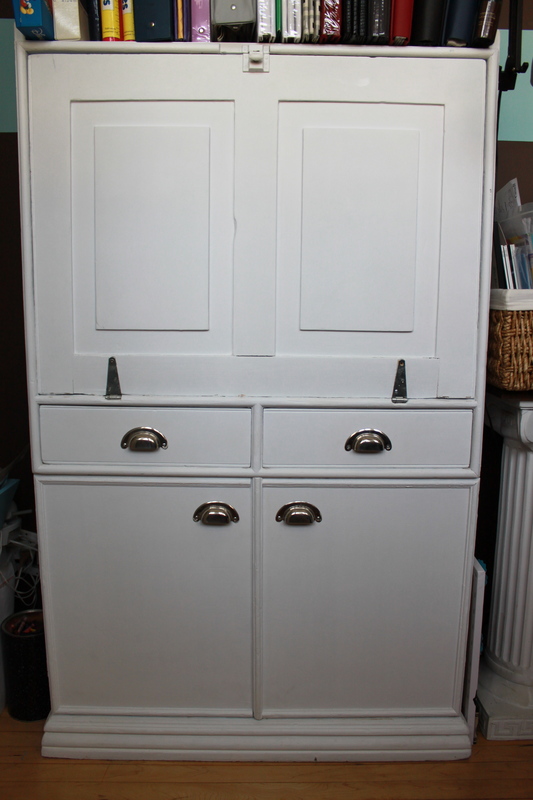 I purchased this cabinet for $35. 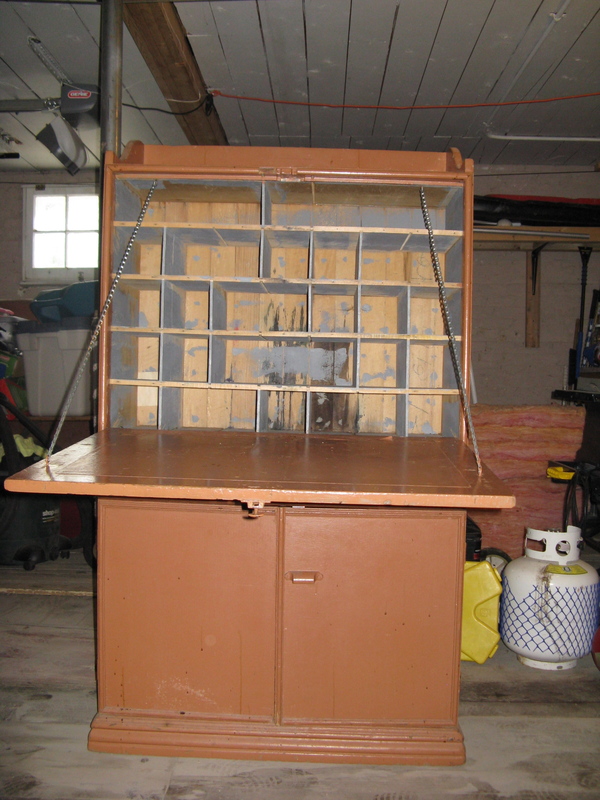 It was in really rough shape and extremely ugly, but I thought it would be perfect for my scrapbooking room. The little cubbies were perfect for supplies and the front door opened down as an extra work space. This project was huge work, but it was well worth the effort. This is what the interior looked like. Needless to say it required lots of work. 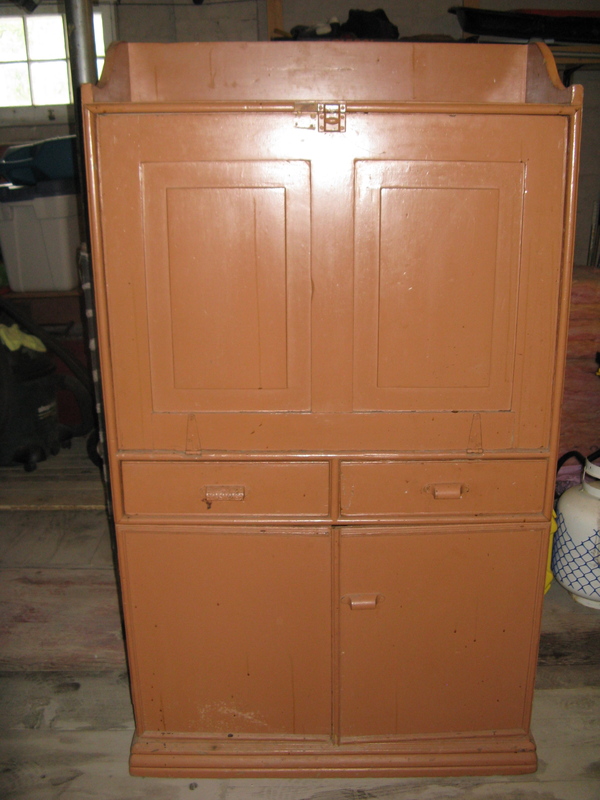 This cabinet needed to be sanded, primed and painted. The worst part was getting inside every little cubby. I chose to go plain white simply because it was so much work and I wanted the colour to be very versatile. I had to buy hinges, but I re-used the handles from our built-ins in the bathroom that had been replaced during a renovation. I always have paint on hand, so this project cost less than $50, but was quite time-consuming. This make-over was really nothing more than paint and handles, but it made the piece look good and provided a great solution to my organization and storage problem. You will notice that I do not have a snap shot of the interior of the piece. That is only because I am too embarrassed to show the current disarray inside those little cubbies!